Available for 8, 10, 12 & 16 tablets Lightning or Micro USB. This large Magellan was designed and conceived to store, carry, secure, charge and sync tablets from 9.7 to 12.9 inches (type iPad Pro) with the ability to mix the iPad sizes present in the case thanks a specially designed hold system. 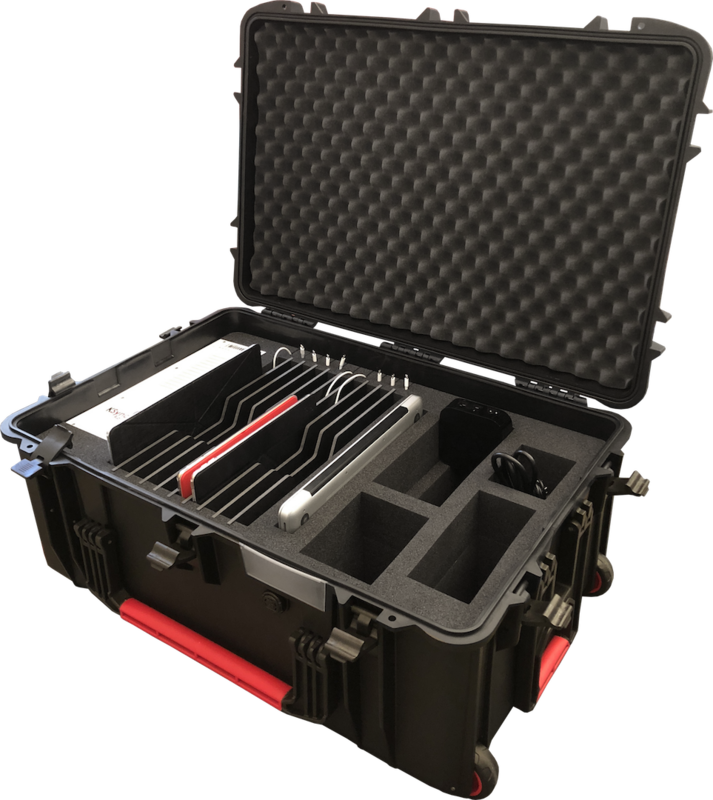 With these additional storage spaces for a 13-inch computer, a WiFi hotspot and an Apple TV, this Pro solution, fully autonomous, allows you to quickly and easily deploy the essential tools for a high-performance digital workshop !